Dentures are just one option for replacing missing teeth; some of the others include fixed bridgework and dental implants. Each method has its particular pluses and minuses, which should be carefully considered. 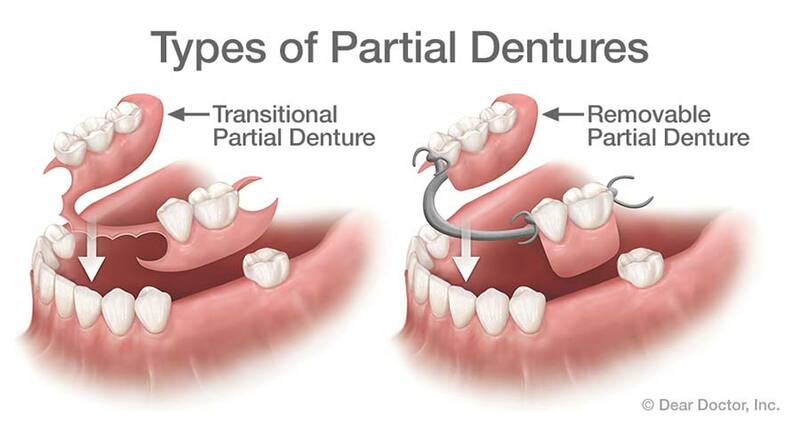 There are also several varieties of dentures available to address specific issues, from partial dentures to implant-supported overdentures. During a consultation, we can explain the available options and help determine which is best in your individual situation. 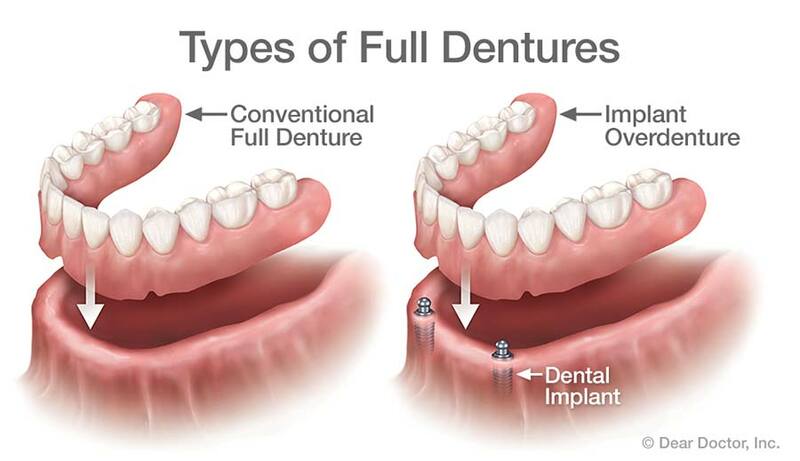 Conventional Full Dentures: After a period of time, we can fabricate permanent dentures that conform to your mouth with near-perfect accuracy. These are carefully crafted to look as much like your own natural teeth as possible, and are able to function properly in your mouth for a long time. To enable normal speech and eating, it's crucial to balance your bite. 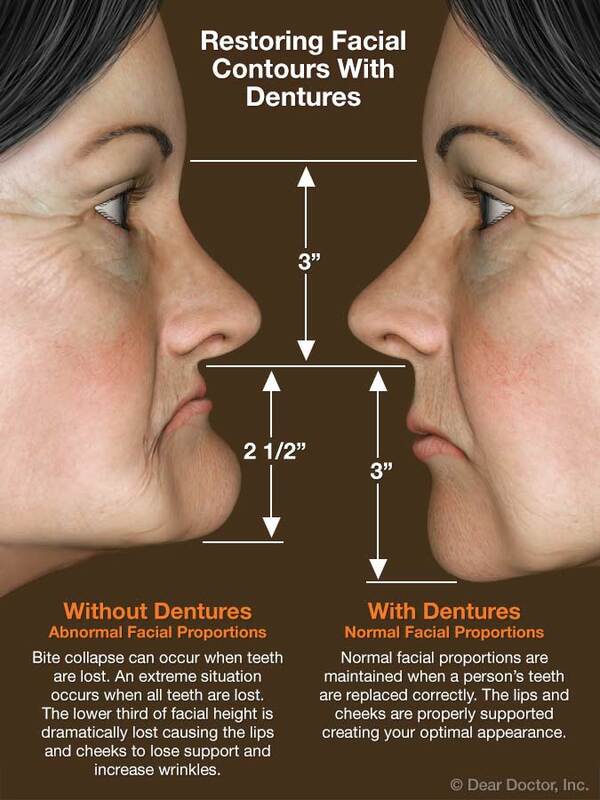 This means that the upper and lower dentures come together and properly stabilize each other. We carefully check the form and function of the dentures to ensure that they are working and fitting properly.